Under the auspices of Blake Knoblauch, Vocational Services Director, we did a Vocational Site visit at one of our Rotarian Members,. On Thursday, March 7th, 3 Hawks Prairie Rotarians visited the Edward Jones office of Jennifer Oliverio. The Hawks Prairie Rotarians were Randy Luke, Brent Robinson, and Joseph Beaulieu. 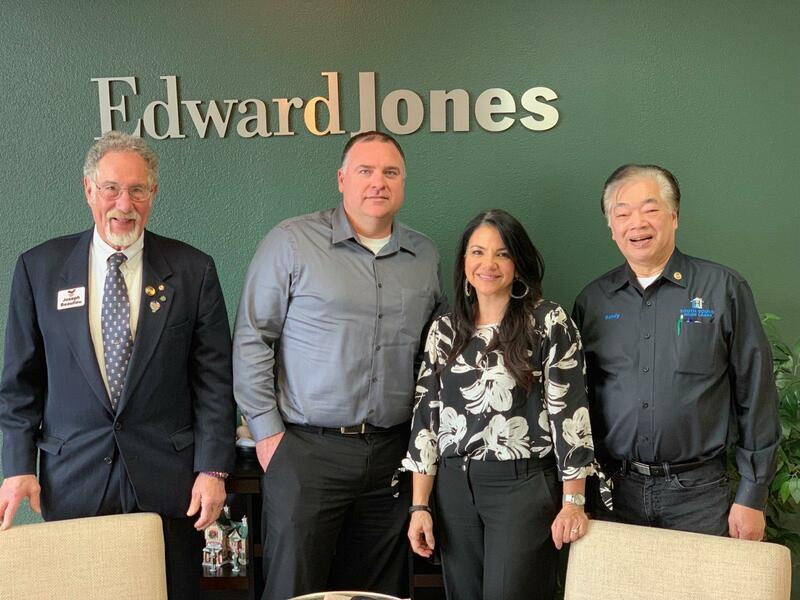 We learned about the way Edward Jones does business and the beautiful, professional, and fabulous location of Jennifer's office in Puyallup, WA.